Currently, we are working on making our very own Space Books! They are coming along quite nicely. As a reminder, Little Feet Meet permission slips are due this Friday- March 15th. Individual Spring Portraits are March 22nd and the Festival of the Arts is March 28th. Exciting news! Kaechele now has a twitter account! If you have one too, be sure to follow KES at @KEScoyotes! Also, tonight is the KES International Festival from 5:30-7! It is always such a fun event-with performances and booths set from over 14 different countries! Hope to see you all there! Over the past couple of weeks we have been talking about Thanksgiving! We have been reading One Little, Two Little, Three Little Pilgrims as well as Thanks for Thanksgiving! Last week, we worked together as a class to make a turkey! It was so much fun to marble paint with our friends to make the feathers. November 11th is Veterans Day, and KES students, teachers, staff and parents would like to invite all men and women who are currently serving or who have served in the Armed Forces to join us for an assembly on Friday, Nov. 9th from 9:00-10:00 AM. This annual event is special for our school as we honor, recognize and celebrate all those who have made a difference in our lives. If you are a veteran and are able to attend our assembly, then we ask that you complete a registration form located on our school’s website (click on Veterans Day Registration) or visit the site directly at https://goo.gl/forms/y0KVH2HZa2QesYb83 Please register as soon as possible but no later than Wed, November 7th. During the assembly each guest veteran will be introduced and asked to stand to be recognized. Guest veterans are encouraged, but not required, to wear their uniforms for the assembly. KES students and staff will be wearing red, white and blue. All veteran guests will have reserved seating and sit with their KES student. All veterans should report to the front foyer of the school to check in before the assembly. Our assembly will begin promptly at 9:00 AM. In addition to recognizing guest veterans during our assembly, our school will participate in two other experiences to honor and support our veterans. First, we will create a visual representation in our school’s hallway to honor men and women who have served our country in the past or who are currently serving but may not be able to attend our assembly. Second, our KES community will partner with Blue Star Families and the USO to collect items to be sent to our deployed troops. Please review the list of needed items and begin shopping now: https://docs.google.com/document/d/1BmdTd_kVFtc0BFqeQ_ypUczyX4koK7vQo7mGt1FuEzs/edit?usp=sharing Thank you for your generosity in the past with our troop collection, and we hope this year we can collect enough items to pack lots of boxes to send to the troops. Oh what fun! We carved our class pumpkin today! We talked about the texture of our pumpkin and the stem. The pumpkin felt bumpy and stem felt rough! Then scooped out the inside of the pumpkin so we could feel the seeds and the pulp. Next, we took turns drawing the face to give us one cool looking jack-o-lantern! We will continue our unit on pumpkins and Fall through the end of the month. 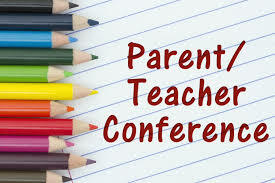 Parent Teacher Conferences are scheduled for November 5 and 6. A link will be sent in the Coyote Courier so you can sign up for a 15 minute slot. I hope to be able to conference with all of you. We went on a nature walk today to look for Fall leaves! It was so much fun to see all the sticks, flowers, and leaves! We even saw a caterpillar at the end of our walk! For our art project today, we picked out a leaf and answered some questions about it- what color is the leaf, is the leaf big or little? We really had a fun time exploring around our school! Hey, Coyotes! Are you ready to read S’More!! We are partnering with our awesome PTA for the 2018 KES Scholastic Book Fair on Tuesday, October 9th – Friday, October 12th! We have really enjoyed our time with our First Grade Book Buddies! We love reading with our friends! I am looking forward to seeing you all Tuesday! Our bbgb Kick Off to Summer Reading Book Fair is June 7th from 4:00-7:00 pm here at Kaechele as part of our end of year celebration and outdoor classroom dedication! Yipppeee! Come by the Library Learning Commons to find the perfect summer reads for your family. Cash, check, and credit/debit cards will be accepted! Whoop! The incredible staff from bbgb will be here to chat with you and your children to assist them in making great selections! What a great opportunity! But that’s not all! If you can’t make it by the Book Fair, bbgb is also extending our book fair dates after our event to include any purchases made at at bbgb’s shop (3003 W. Cary St.) June 7 – 10—and….15% of the proceeds will go back to KES! Yay! Please let everyone you know they are welcome to take part in this opportunity, but remind them to mention that they are with Kaechele Elementary School when making their purchases in order for KES to receive the benefits. Mark this time because you won’t want to miss it! Dedication Ceremony for our new outdoor classroom will begin promptly at 6:00 PM on June 7th. Following the ceremony, the 2018-19 PTA Board members will be sworn in and new information will shared about next school year. Also, our water play day will be Friday, June 8th! Ms. Katie and Ms. Gena’s pre-school classes will be joining us. Please make sure to send in an extra set of clothes, shoes, socks, etc. that day. We will get drenched! Also, please apply sunscreen to your child before school that day. This year has been flying by! I can hardly believe we are in May. We have started a new unit of study… bugs and insects! By far everyone’s favorite center is the sensory table with black beans, magnifying glasses, and various insects for everyone to find. We have also begun reviewing our shapes, letters, and colors. This month we are focusing on the number 2.